The deaths of two men who were found unresponsive in separate incidents at a Boystown bathhouse last year were ruled accidental according to newly-available information from the Cook County Medical Examiner. A man who was found unresponsive early on July 11, 2017, at Steamworks, 3246 North Halsted, died from acute methamphetamine intoxication in a death that was ruled an accident by investigators, the medical examiner said. The 31-year-old was found in or near room 308 of the sprawling facility and was later pronounced dead at Advocate Illinois Masonic Medical Center, police said at the time. Investigators also said evidence of GHB drug was found near the man. 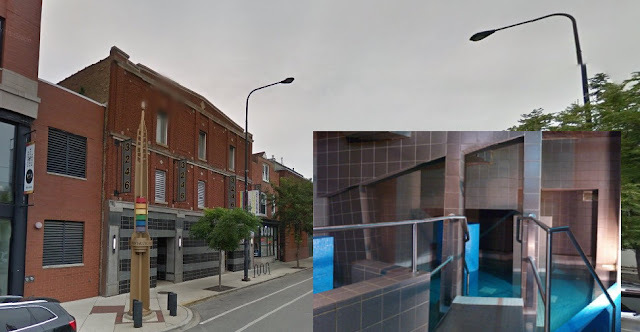 A 36-year-old suburban man who was found dead in the bathhouse’s jacuzzi on January 23, 2017, died from accidental drowning, according to the medical examiner. No contributing cause such as drug use was listed in official findings. The second man was found alone and unconscious around 11:30 p.m. and was pronounced dead at Illinois Masonic about 30 minutes later, records show. Investigators learned that he had checked into the bathhouse about three hours before being discovered, according to a source.